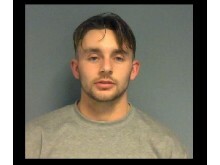 Stephen Brooker, aged 22, of Ripplesmere, Bracknell, was sentenced to two years and one month in prison at Reading Crown Court today (12/4). Brooker was also subjected to a ten-year restraining order not to contact the victim or attend the victim’s home address upon his release from prison. He pleaded guilty to one count of burglary in a dwelling during a hearing at Reading Crown Court on 19 March. At some time between 6.15pm on Friday 21 December and 7.10am on Saturday 22 December last year, Brooker broke into a property in Ripplesmere after smashing a window and searched a bedroom belonging to the victim. Once inside, Brooker stole two personal items and clothing belonging to the victim. Following a forensic examination of the scene, fingerprints and blood samples matched with Brooker’s and he was arrested on 17 January 2019, before being charged the following day.